Whether you are looking for a beautiful traditionally restored Tuscan Villa or Umbrian Casale secluded in the hills located closer to local towns and villages, we can find you exactly what you are searching for. Indulge in the luxury of your own private pool, giving you the freedom and space to relax as you wish. 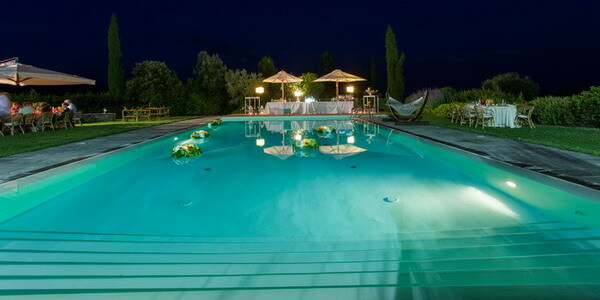 For your special occasion you need a special villa. These villas are tried and true special occasion villas, chosen for their settings, atmosphere and hospitality. Some villas have their own chapels; others (Hotel, Relais, Agriturismo or Residence) supply their own Restaurant or Catering Service. Terretrusche Tour Operator can also arrange Wedding and Event Planner for our guests, Cooking Classes, Wine Tastings, Concierge Service and much more. All our properties have been carefully selected and picked out so as to guarantee you top quality accomodation at competitive prices. Over the years we have built a collection of outstanding villas with pools and with a 15-year experience we are in a position to provide you an exceptional service totally dedicated to you and your special occasion Villa.